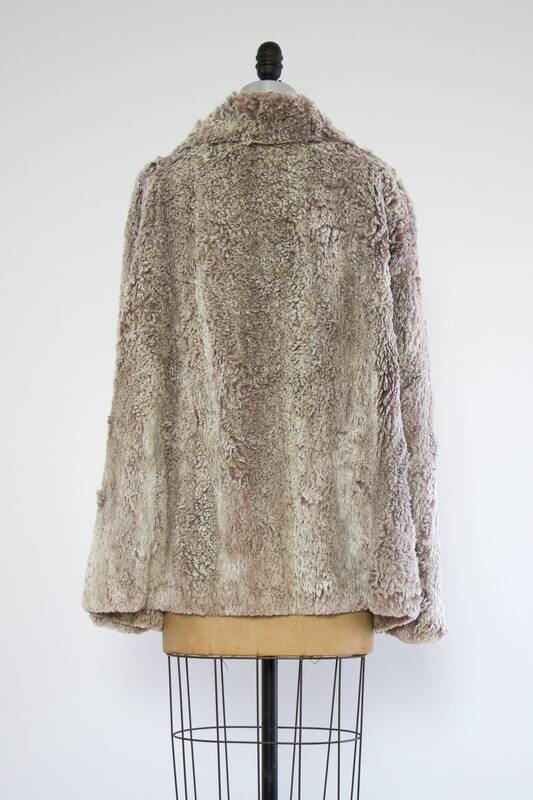 Vintage 1960s faux fur cape. 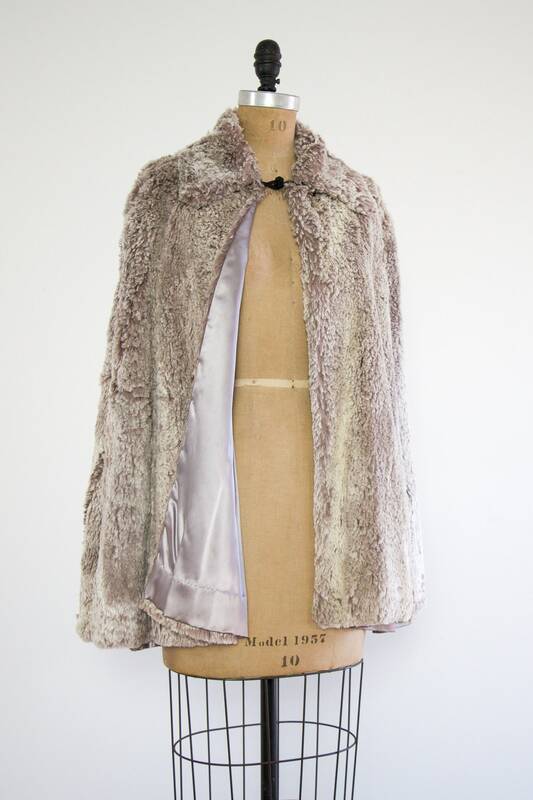 Dusty purple fur cape with shades of ivory and white throughout. 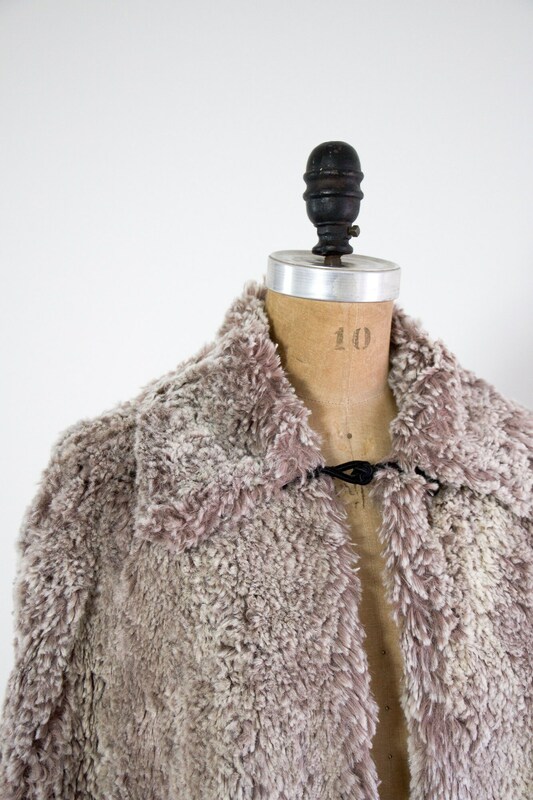 Has a pointed collar and frog closure with hidden hook & eye. 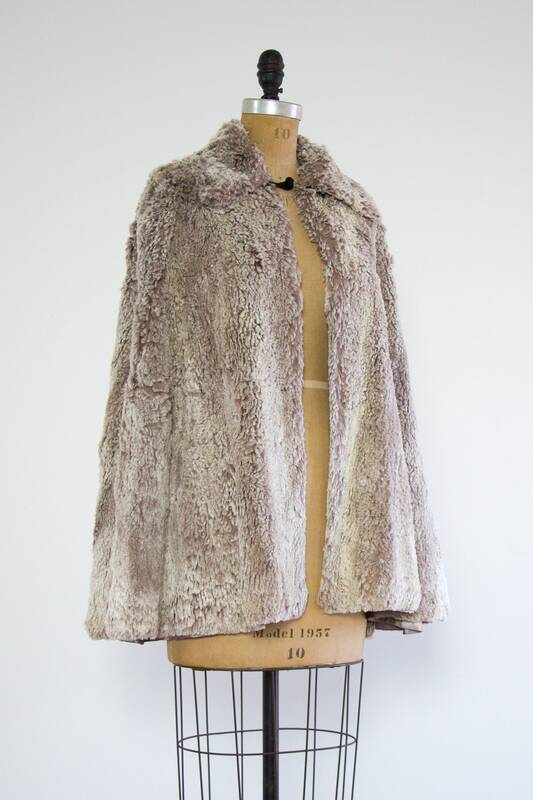 Fur is soft and the cape has a nice, heavy weight to it. 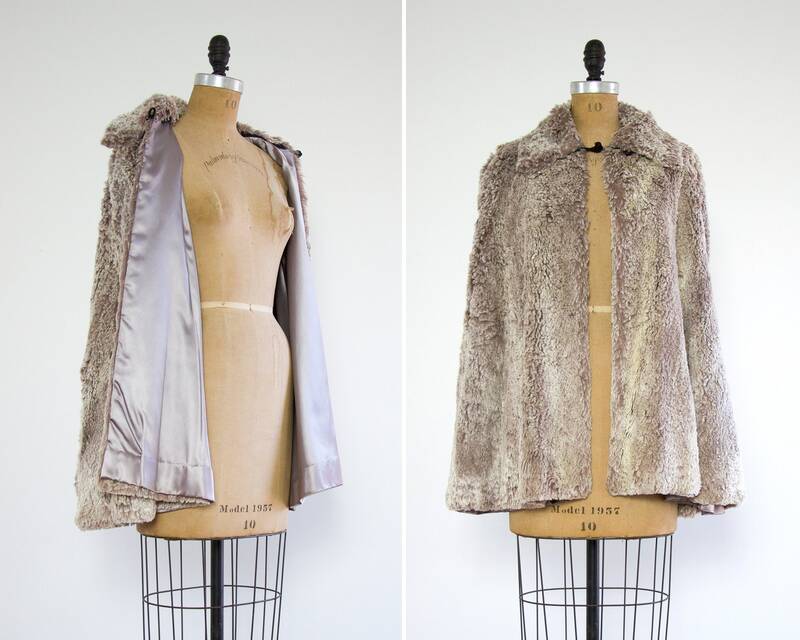 Fully lined in a silky muted purple satin. shoulder to shoulder: ~ 16-18"
Additional Info - To send coupons and birthday gifts via snail mail and/or email. 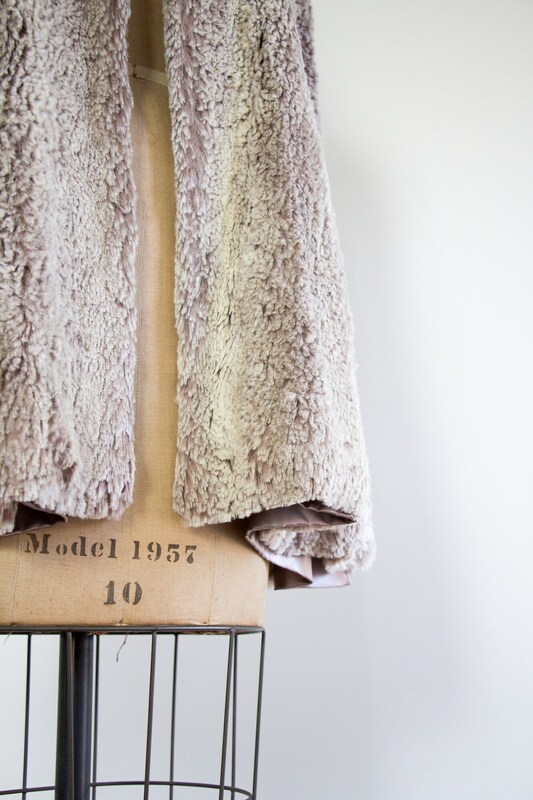 Moon Revival sells true vintage from the 20th century. Therefore, most of the items have been previously loved and may show minor signs of this. 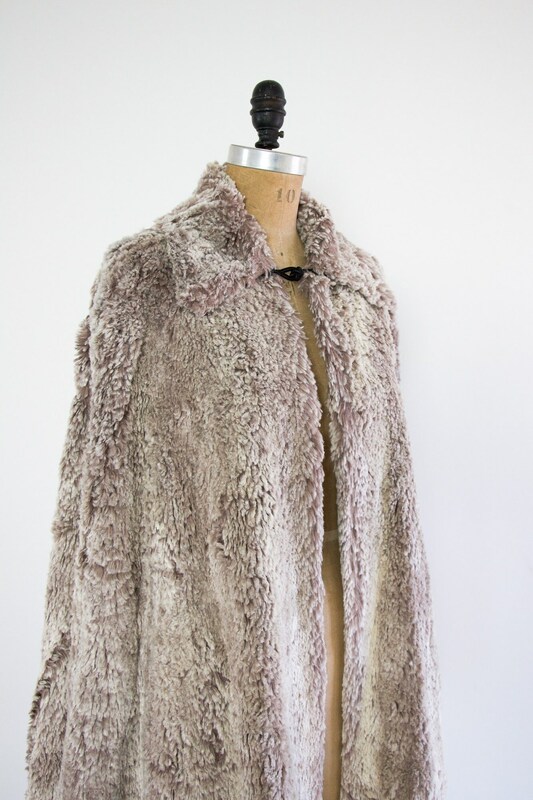 Please note that all items are inspected for quality and any flaws that are above and beyond normal wear for a vintage piece are noted in the items description. All items are stored in a clean, smoke-free environment. 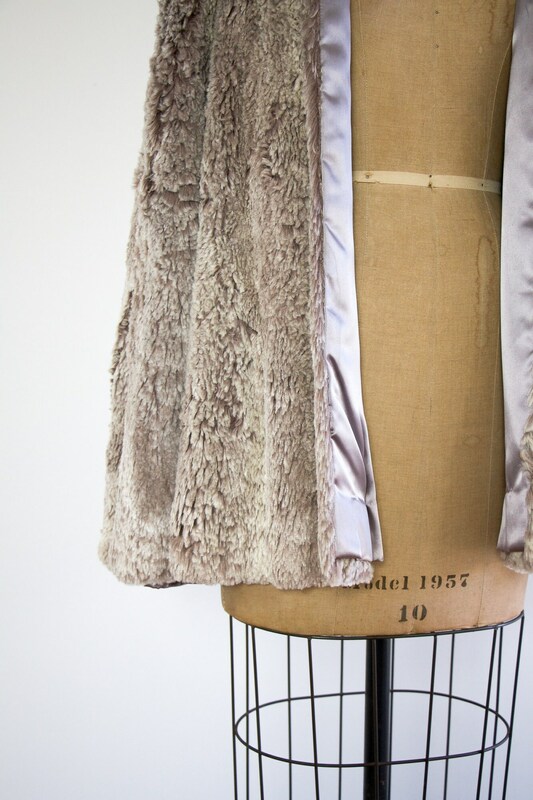 Please always refer to the actual garment measurements in the item description first when making a decision on fit. All size approximations are based on the info below.